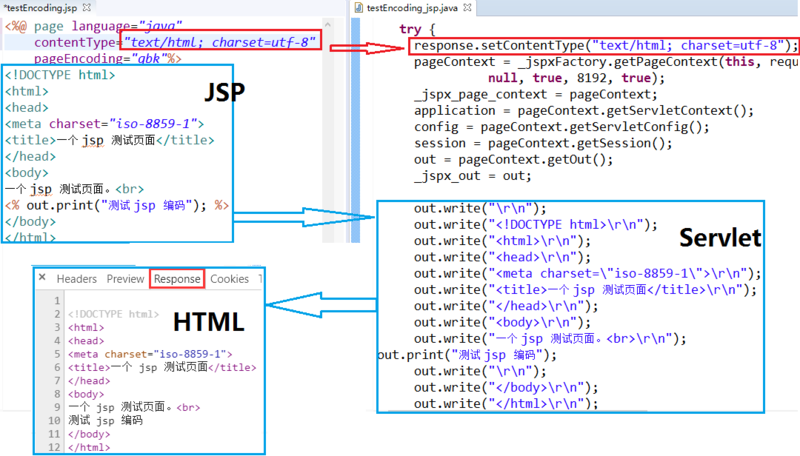 For JSP pages, the page encoding is the character encoding in which the file is encoded. 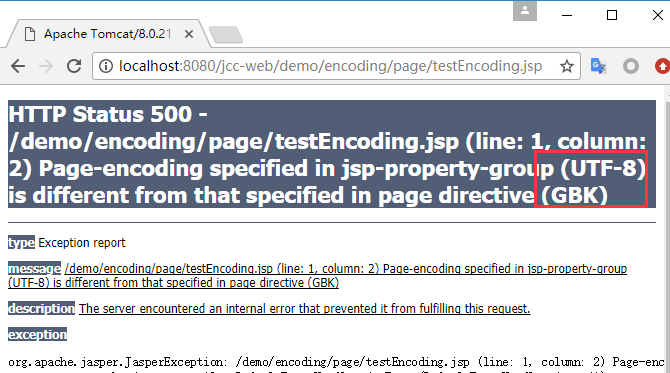 The page encoding value of a JSP property group (see Setting Properties for Groups of JSP Pages) whose URL pattern matches the page. 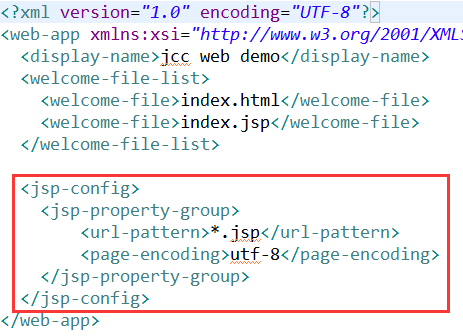 The pageEncoding attribute of the page directive of the page. 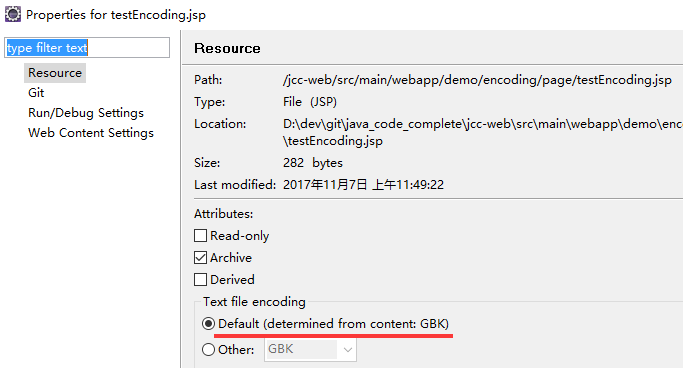 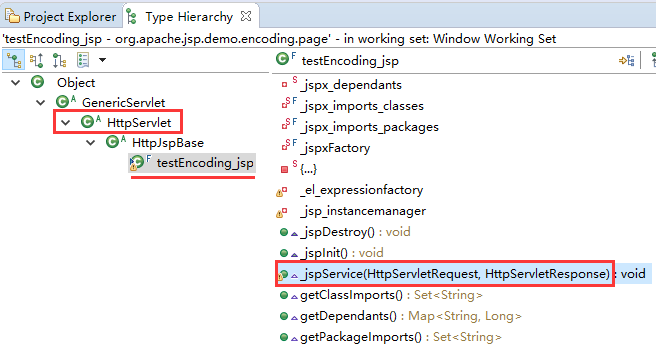 It is a translation-time error to name different encodings in the pageEncoding attribute of the page directive of a JSP page and in a JSP property group. 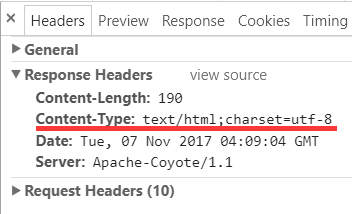 The CHARSET value of the contentType attribute of the page directive. 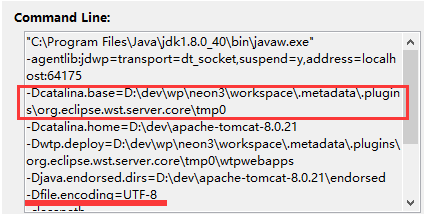 If none of these is provided, ISO-8859-1 is used as the default page encoding. 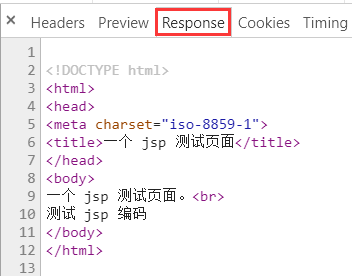 If none of these is provided, ISO-8859-1 is used as the default response encoding.